Big Brother 16 Havenot "ICE BOX" Room - It's going to be a COLD SUMMER! 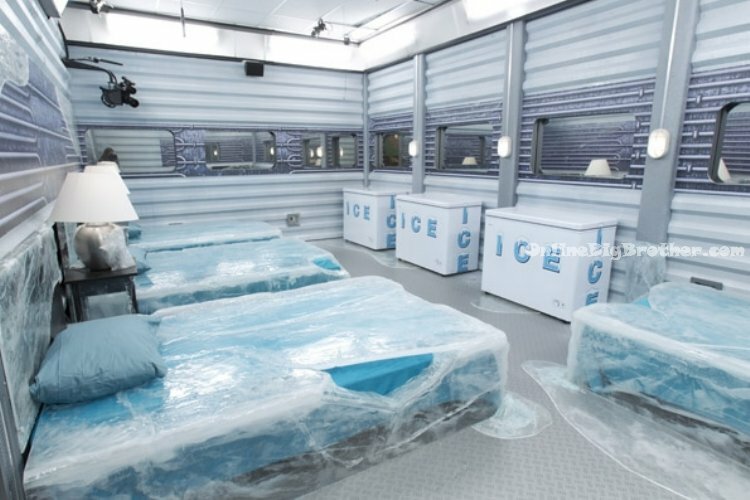 Big Brother Spoilers > Big Brother > Big Brother 16 > Big Brother 16 Havenot “ICE BOX” Room – It’s going to be a COLD SUMMER! Summer time in the Big Brother house is usually hot both inside and outside where the house guests enjoy the California sun and heat, however, this seasons cast is are going to need their winter jackets if they expect to survive the havenot’s room! This season is no different in making the havenot room torture for the house guests but I think its going to take an even bigger toll on the havenots each week. The new havenot room is named the “ICE BOX” and it definitely looks like one. There are 4 beds that look like they’ve been frozen since the ice age. These beds won’t be comfortable as they look as hard as rock but at least they get pillows. The room also has 3 ice boxes for the havenots to store their clothes. 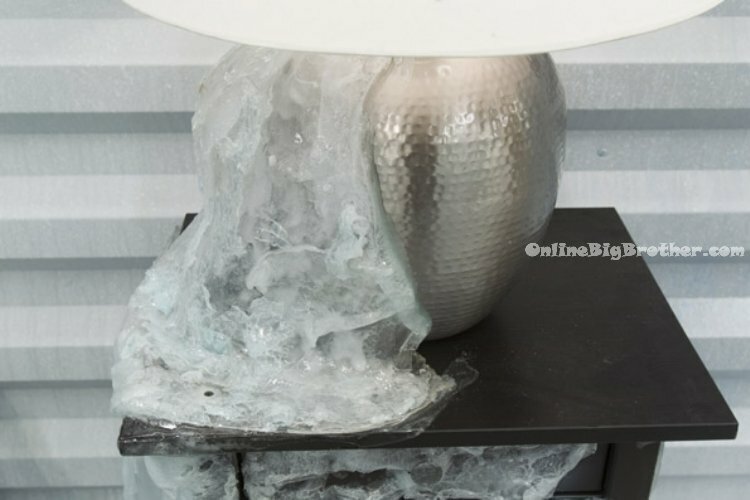 The ice that is frozen to the lamp is chilling as we can bet that Big Brother is going to drop the temperature down to a bone chilling degree..
Luckily the house guests that aren’t havenots will get to enjoy the newly redesigned Big Brother 16 house. Julie Chen toured the new house and showed off some of the great new features this season, check out the FULL Video Tour. She also revealed this seasons Twist on The Talk. I think the house looks kind of funky but I love that they are trying out some new twists this season. All new guest but that seems unlikely . Cody. . .they did announce that tomorrow we’ll see who the HGs are, with their bios, etc. I haven’t heard an exact time, though. I can’t wait. Thanks for that info Irene. the first eight just entered happily. the house is only at half capacity. i am going to really totally feel sorry for the first group of havenots…!!! Entertainment Tonight Tours the NEW Big Brother 16 House!